Ooh! “Intense Footage,” it says. “Not Shown in Theaters,” it says. I soon realized I had been bamboozled. After watching the “Unrated Cut,” nothing I saw in the extra seven minutes that were added was much more intense than the PG-13 theatrical release. Granted, there were a couple of head shots, CGI blood that was either added or had been previously removed, and a slightly extended Jerusalem scene featuring a severed hand. However, compared to other zombie flicks like Dawn of The Dead, the gore was minuscule. What frustrates me is that if a studio is going to advertise “Uncut,” “Unrated,” or “Intense Footage,” they should deliver a little more than most of these versions of films possess. This is not the first, nor the last time that we’ll see devious advertising like this. 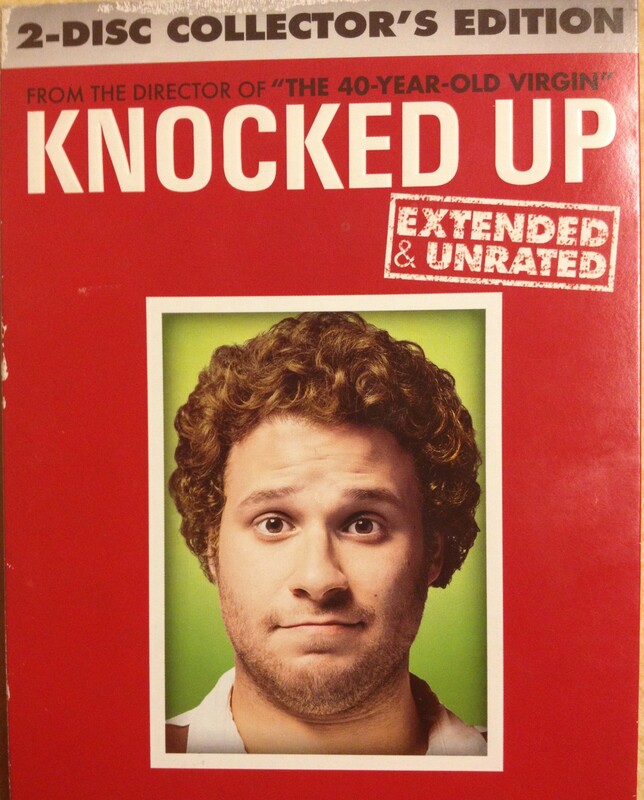 For instance, the “Extended & Unrated” version of Knocked Up when it was released on DVD in 2007. That cut was only four minutes longer than the original. Some of the conversations in the film were longer and more detailed and there was a scene in a car involving MARIJUANA added (DEAR GOD, NO!). It was ostensibly a “Director’s Cut.” There was nothing in this cut that would have garnered the film a different rating from the MPAA. And therein lies the rub: the goddamn MPAA (Motion Picture Association of America). I’m not going to lie, I am not a fan of this group that represent its exclusive members, the six big film production studios: Sony, Fox, Warner Bros., Paramount, Universal, and Disney. The MPAA is a trade association designed to progress the business interests of its members. Back in the day, due to puritanical nutjobs, film as an art had to have guidelines for “decency” and thus the MPAA was born. Seeing as “decency” is an objective term, as most terms are, my opinion is that they are obsolete. Sadly, the U.S. Government and the Special Interest Groups that fund them disagree. Any film that wants decent distribution has to obtain an MPAA rating because most corporate movie theater chains have their own guidelines that align with that of the MPAA. For descriptions of the MPAA’s subjective and vague ratings CLICK HERE. 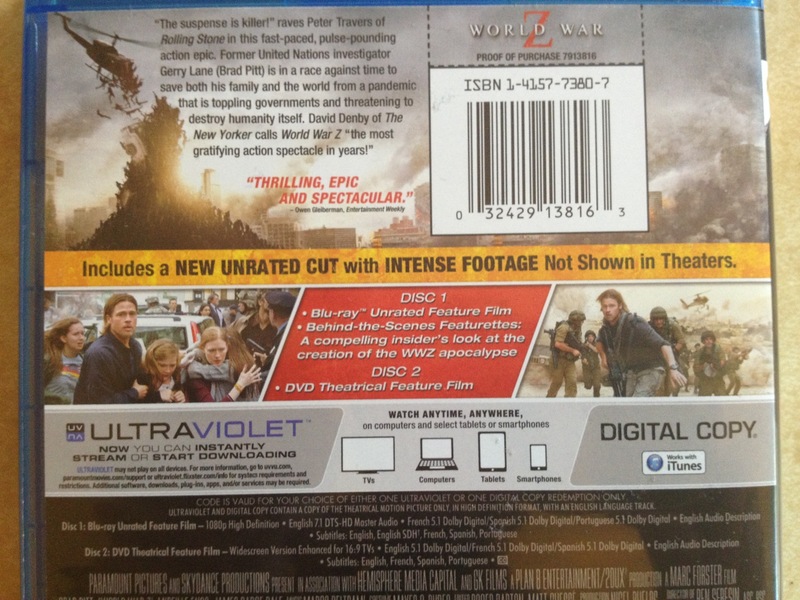 I could go on and on about why this rating system is archaic and useless, but back to the point: the MPAA is responsible for allowing this deceiving advertising of “Unrated” versions of movies to the unsuspecting public. World War Z barely earns its “Unrated” moniker, but in the case of releases like Knocked Up:Extended & Unrated, it is a ruse. This is why I stick to buying home videos that say “Director’s Cut” on them or that I have done my research on to make sure that they actually have some content that pushes the envelope of their previous rating. “Director’s Cut” means that the director’s true and original vision has been made possible by extending scenes or adding deleted scenes. Sometimes, just for the money and hell of it, a director and/or studio will release a version of a movie that was not meant see the light of day but was vastly different from its original. “Mallrats is the only movie of ours that we’ve never cut… We decided hey, let’s go back and see- would Mallrats be any different if WE were to cut it. Like if we went back to the source material, would we have made different choices? Would we have used different performances? And the answer lied in going back to the footage to re-cut it completely from scratch.” – Kevin Smith, Mallrats 10th Anniversary Extended Edition. Make sure that you do your research when purchasing a movie labeled “Unrated” or “Too Hot For Theaters” or other exaggerated terms of the like. Chances are that you are in for a few extra minutes of the film that are NOT AT ALL more obscene that its rating, not even relevant or just plain irritating. In fact, in most cases, any version with deleted scenes as a bonus feature has all of the content they would add in an “Unrated” version and more. They also keep it separate rather than adding it into a cut that has been labored over and edited so many times that the final theatrical version is much better anyway. Eric and Bryan discuss the origin of St. Nicholas, a.k.a. Santa Claus. Movies and beer go amazingly well together. In some cases, drinking enough beer can make a movie which would otherwise be a steaming pile of cow dung, absolute poetry. In other cases, though, finding the perfect beer that compliments a film can help shed new light on it by allowing not only your senses of sight and sound to experience it, but your sense of taste as well. Having had this epiphany, I thought it only prudent to share my vast knowledge of brews and movies through a beer and movie pairing. Previous post Damn You, Merv Griffin! Next post Let Their Blood Raaaiiinnn From The Skyyyyyyyyy!